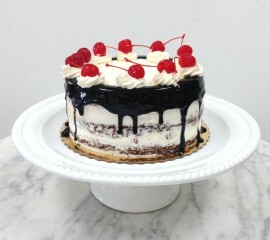 Vanilla cake filled with vanilla and chocolate ice cream and chocolate crunchies. 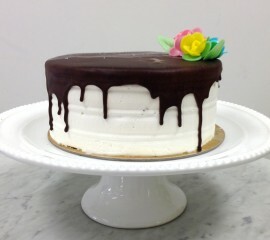 Decorated with whipped cream, poured ganache and colorful wafer flowers. 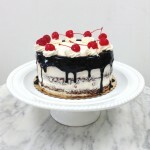 Chocolate cake with cherries and whipped cream, topped with chocolate ganache and cherry rosettes. Only available in our showcase in the Fall! 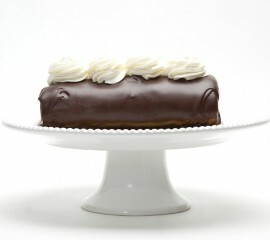 A flourless chocolate cake rolled with lightly sweetened whipped cream. Covered with smoooth chocolate ganache and decorated with buttercream rosettes. This is a great cake for Passover and Gluten-Free customers. Available in the showcase daily. A square vanilla cake with vanilla pastry cream and strawberries, peaches and pineapple. 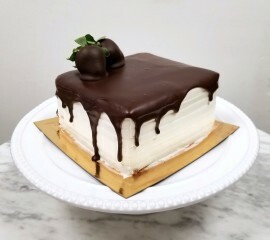 Topped with our fresh whipped cream and poured chocolate ganache. 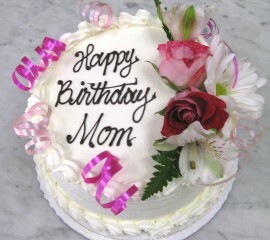 Standard decoration includes a choice of chocolate strawberries or fresh flowers, and colorful streamers. Writing is in chocolate or gel. 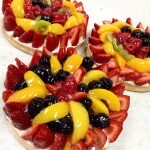 Prices vary depending on filling, topping and design. 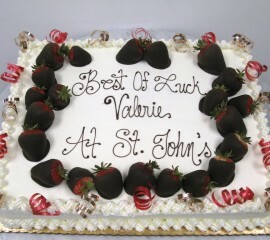 Find out more information about our custom sheet cakes HERE! 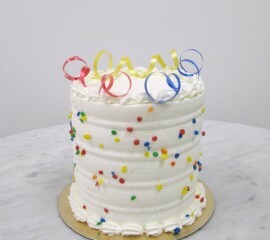 Our standard smash cake is a 4″ vanilla cake filled with buttercream and topped with your choice of whipped cream or buttercream. 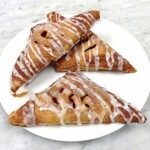 Please note that there may be changes in price depending on filling, flavor and design. Smash Cake orders must be placed at least one week in advance. 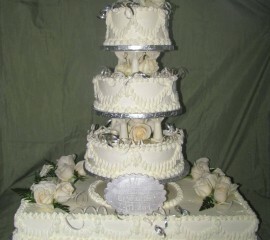 We can stack our standard cakes together to make a beautiful Special Occasion cake! Please note that there may be additional charges due to filling, flavor and designwork! 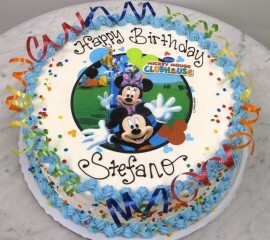 Take a look at our CAKE MENU for flavor and filling options. If you would like a price quote please CONTACT US. 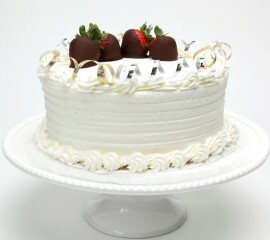 Vanilla cake layered with strawberry ice cream and a layer of white chocolate vanilla crunchies. 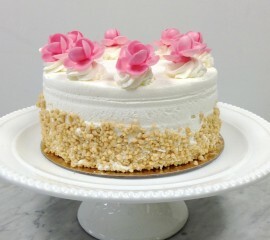 Decorated with whipped cream, vanilla crunchies around the side and wafer flowers.